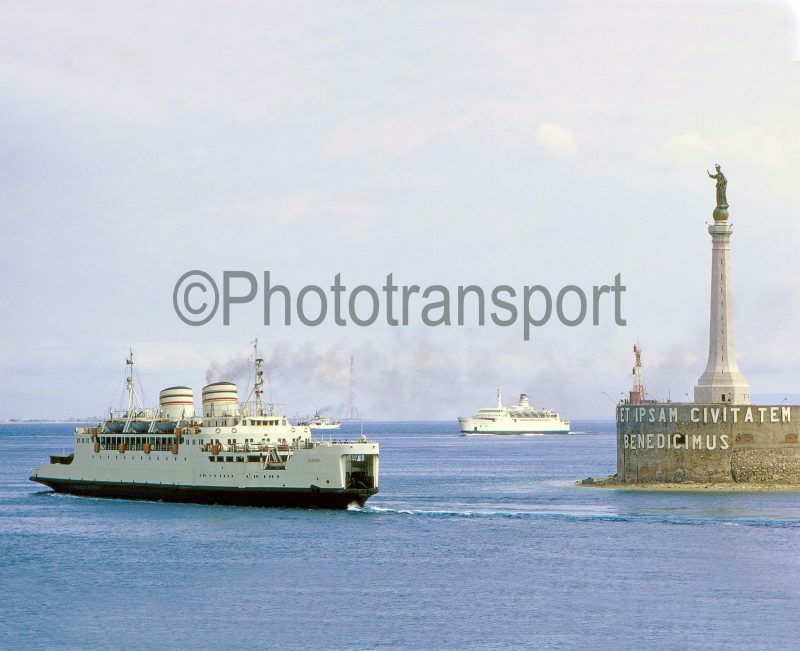 Two Italian Railways’ train ferries arriving at Messina on 26th April 1972. In the foreground is the 3,123grt Cariddi. She was built in 1932 by Riuniti Adriatico at San Marco. On 14th March 2006 she sank just outside of Messian Harbour. In the background is the 5,768grt Sibari which was built in 1970 by Italcantieri at Castellammare. On 27th December 2009 she arrived at Aliaga to be broken up by Sok Denizcilik.